The live-action version of the Kim Possible movie has cast Buffy the Vampire Slayer and How I Met Your Mother star Alyson Hannigan as Kim's brain-surgeon mother, Dr. Ann Possible. Connie Ray of The Big C will play Hannigan's mother and Kim's grandmother. Kim's nemesis on the show, Dr. Drakken, will be played by Todd Stashwick. Additionally, Erika Tham will play Bonnie, and Ciara Wilson will play Athena, a new student at school. More casting news is expected to be announced soon for the Kim Possible live-action movie since filming is set to begin soon. The Kim Possible animated series ran from 2002 to 2007 and premiered to widespread acclaim and huge ratings numbers, despite the Disney Channel being unsure if their male fan base would accept a show with a female lead. The show was praised by critics for its use of humor, smart dialogue, and its animation, which has led to some fear about the live-action version of the show. Many are under the impression that it's going to be hard to bring the Kim Possible world to life in the real world. However, this is Disney that we're talking about here, so there really shouldn't be any doubt. The Kim Possible live-action movie is a comedy adventure and is set to debut in 2019, telling the tale of an everyday high school girl who, in her spare time, saves the world from the bad guys. 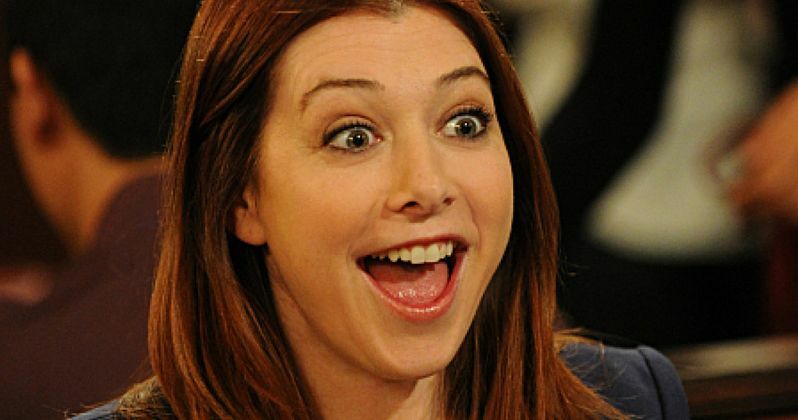 In other words, the storyline seems perfect for Alyson Hannigan, who was already on a show like that in the 1990s called Buffy the Vampire Slayer. It'll be different for Hannigan this time around since she's playing the mother instead of the sidekick getting in on all of the action. There currently is not an official release date for the Kim Possible live-action movie, but the Disney Channel promises that it will be out in 2019. The filming of the movie will more than likely end up moving fast, but the post-production process will ultimately be the deciding factor on tying all of the fantastic imagery of the cartoon into the real world. Again, this is Disney that we're talking about, so resources are in abundance, so there shouldn't be any doubt that the Kim Possible movie will be satisfying for fans that have grew up with the hit show. The news about the new Kim Possible live-action movie castings was first reported by Deadline.